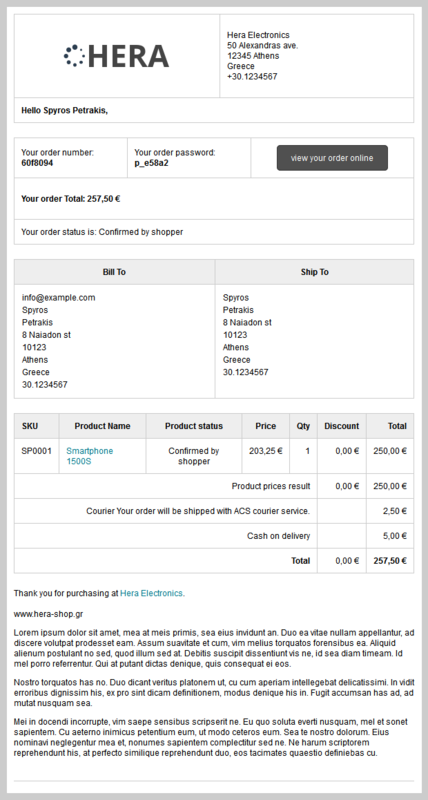 With our VirtueMart HTML order email template overrides, you will have a nice looking HTML order email, compatible with the majority of desktop and web email clients. The installation is very simple, you just upload the provided files in your template's html folder. Specific installation instructions are included. Compatible with VirtueMart 3.0.12 or higher. Correctly coded for compatibility with most email clients. Tested with more than 30 email clients. 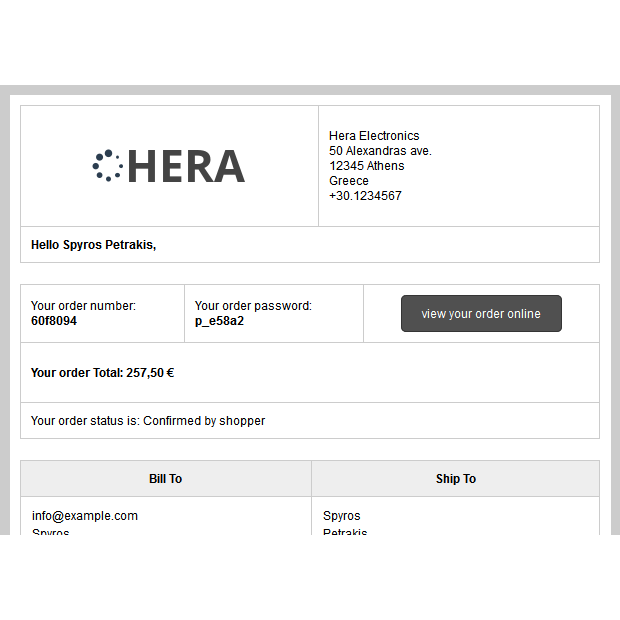 You can test the order email on our Hera template demo page , just make a test order to see how the order email will look in your email client.